A properly designed and installed drip irrigation system, sometimes called micro or trickle irrigation, dampens areas where a whole-lawn sprinkler system fails to reach effectively. A drip irrigation system accomplishes this through a series of emitters spaced strategically throughout the target area. The type of soil and each plant's individual needs determine the emitter's spacing and water flow. Because drip irrigation concentrates water in a selected area, it reduces the water runoff and evaporation problems inherent with a sprinkler system. A drip irrigation system's versatility make it a cost-effective and environmentally friendly solution for both homeowner and professional alike. From the simplest system to the most complicated, all drip irrigation systems have a few basic things in common: a water source, tubing, and the emitters. Start designing the drip irrigation system at the water source. Many systems use a nearby hose bib as the water source, while others tap into an existing sprinkler pipe. 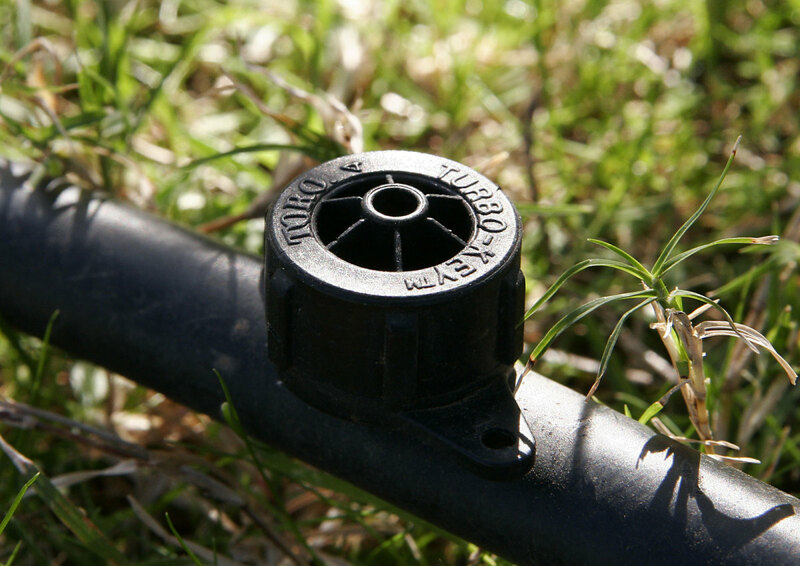 The hose bib option keeps the irrigation timer, if used, independent from the timer operating the sprinkler system. Treated water from a hose bib generally contains less emitter-blocking sediment than the water derived from an irrigation well. 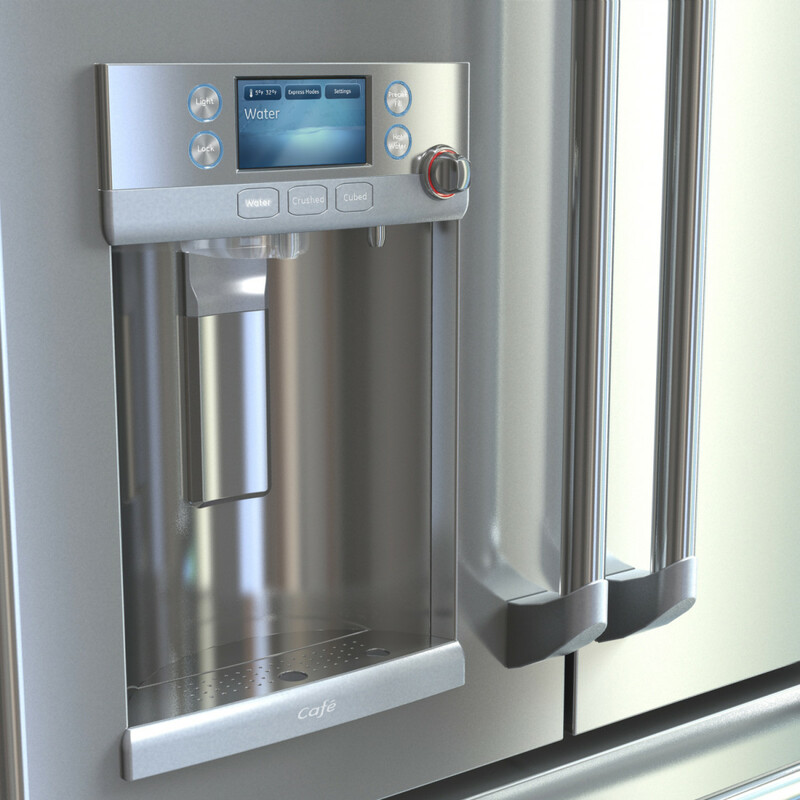 However, it often also contains traces of the chemicals used during the filtration and treatment process. Next, determine whether to run the tubing above or below ground. Hiding the drip tubing under mulch or light ground cover enhances visually sensitive areas, such as flower beds and walkways. Many vegetable gardeners stake drip irrigation tubing above ground. This method allows easier maintenance and the ability to replace or remove emitters without digging up the tubing. Some landscapes use a combination of both. 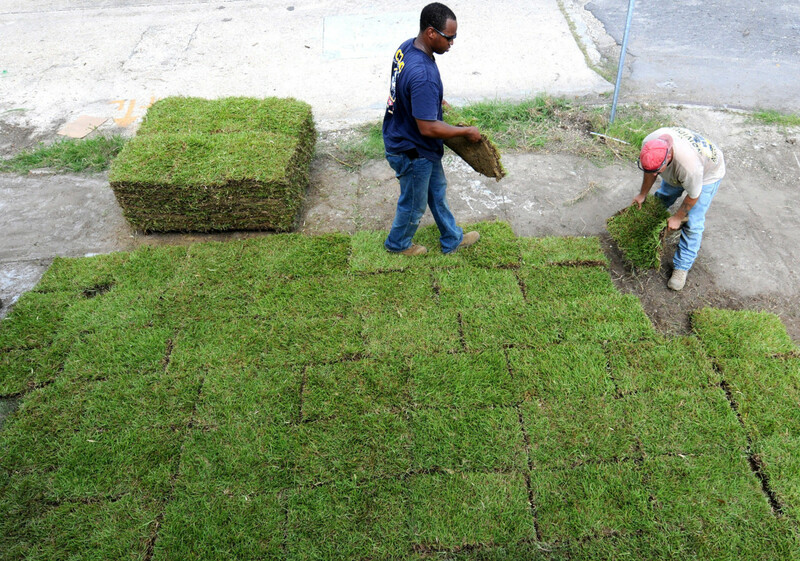 A lawn with multiple flower-bed islands would use solid tubing under the grass and above-ground tubing in the beds. A typical drip irrigation system consists of a timer, filter, pressure regulator, tubing adapter, 1/2-inch poly tubing and fittings, emitters and 1/4-inch micro tubing. When using a hose bib as a water source, include a backflow preventer. The backflow preventer stops irrigation water from contaminating the potable water supply. The pressure reducing fitting keeps the water pressure at a safe level, usually 25PSI, for the poly tubing. The 1/2-inch poly tubing connects to the water supply with a tubing adapter, sometimes called a swivel adapter. Each branch line requires a tee-fitting and an end cap. 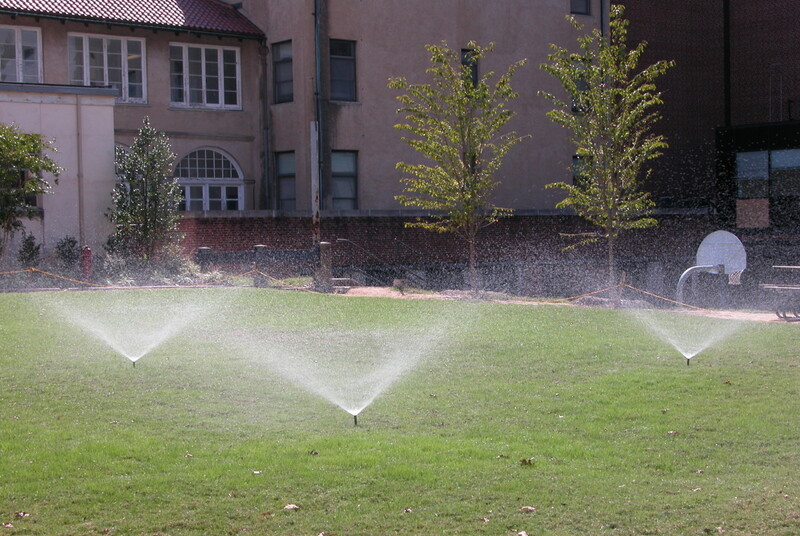 Extremely large areas often require individual zones that run at different times, using the same zone valves that a standard lawn sprinkler system uses. Create a diagram of the landscaping and plan the drip irrigation system. A common system uses a main trunk line to feed multiple branch lines. The trunk line normally runs from the timer through the center of the irrigated area. The branch lines, when needed, tap off the trunk and feed other areas. Mark each emitter's placement on the diagram and circle the emitter's coverage. Label each emitter and its type, such as .5 GPH drip or 10-GPH 180-degree sprayer. Total the emitter's flow rate. 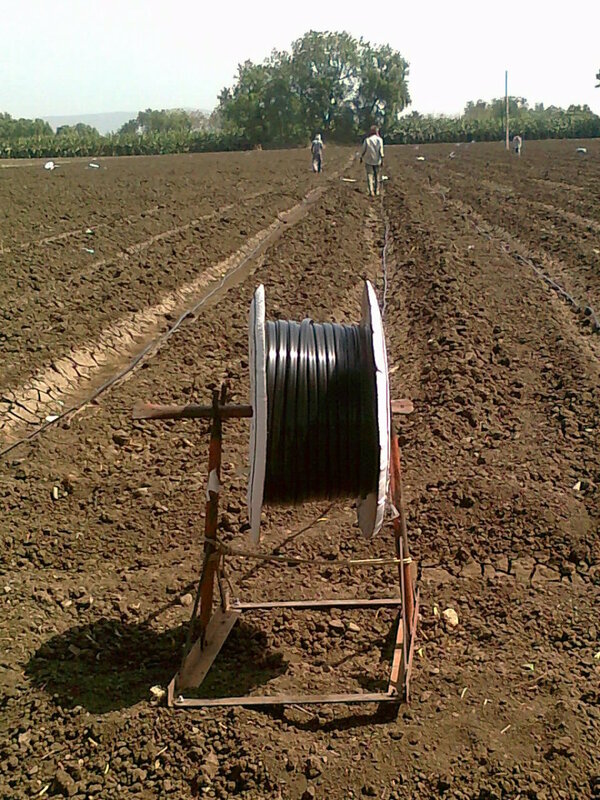 The 1/2-inch poly tubing commonly used in drip irrigation has a maximum flow rate of about 220 GPH. If the calculated flow rate exceeds 220 GPH, either split the system into two sections or remove enough emitters to drop the total below 220 GPH. 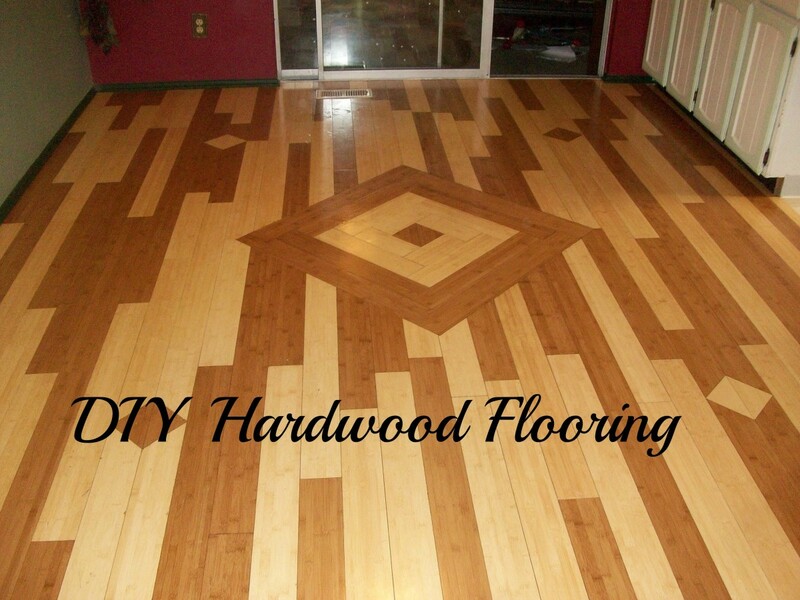 Estimate the material needed, using the layout as a guide. 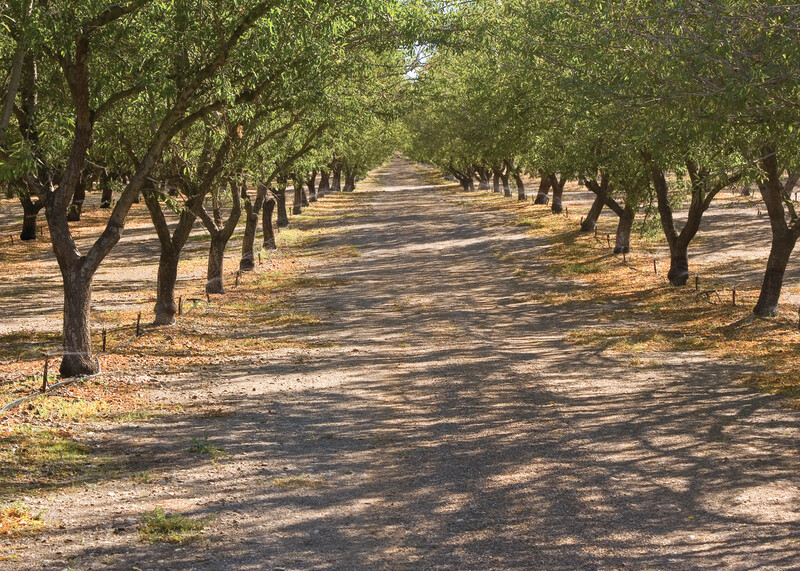 A careful layout of the drip irrigation system reduces material waste and coverage overlaps. Both above- and below-ground applications have different types of emitters available, including drip heads, micro sprayers, drip lines and soaker lines. Water dribbles from a drip head, soaking the soil around a single plant. Micro sprayers throw water into the air like a whole-lawn sprinkler system and can cover several feet in each direction. A drip line has evenly spaced ports along its entire length. Soaker lines sweat along their entire length. Drip heads and micro sprayers are measured in GPH, gallons per hour. To help match the system's design to the landscaping, manufacturers offer micro sprayers with 90-, 180-, 360-degree and fully adjustable nozzles. 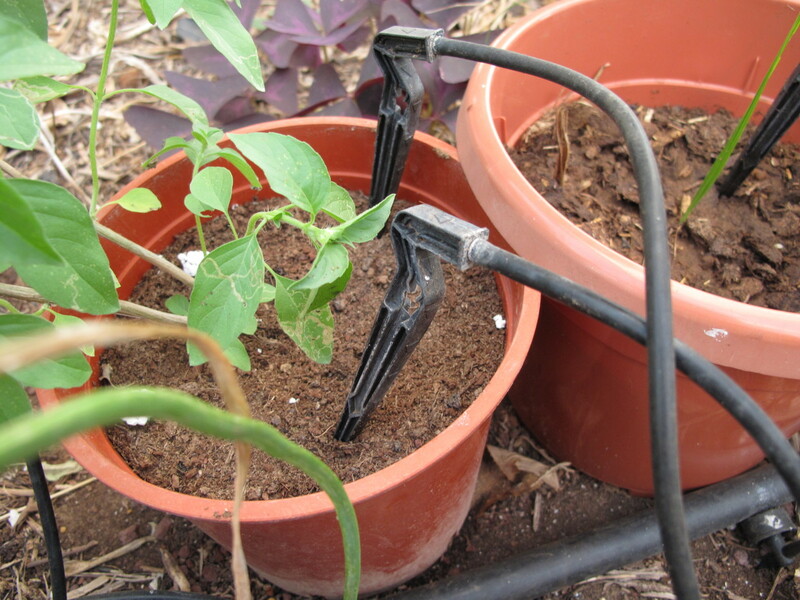 Gardeners often plug multiple types of emitters into a single drip line. This lets them water several different plant species, anything from corn to radishes, off of a single line. Either buy each part individually or purchase a manufacturer prepackaged drip-irrigation startup kit. A basic startup kit contains everything needed for a simple system, including a pressure reducer, 1/2- and 1/4-inch tubing, tubing fittings, and several different emitters. Usually a startup kit does not contain a timer. 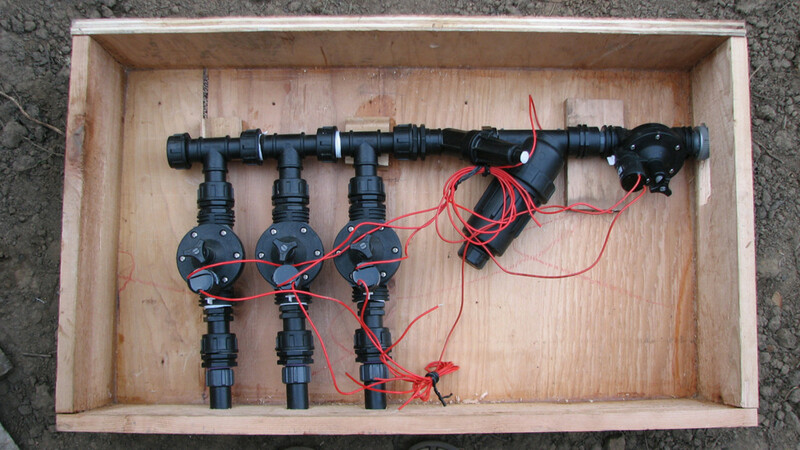 Many homeowners find that one of the manufacturer's prepackaged drip irrigation startup kits are perfect for their watering needs. I started with a Rain Bird drip irrigation kit in my pepper garden. 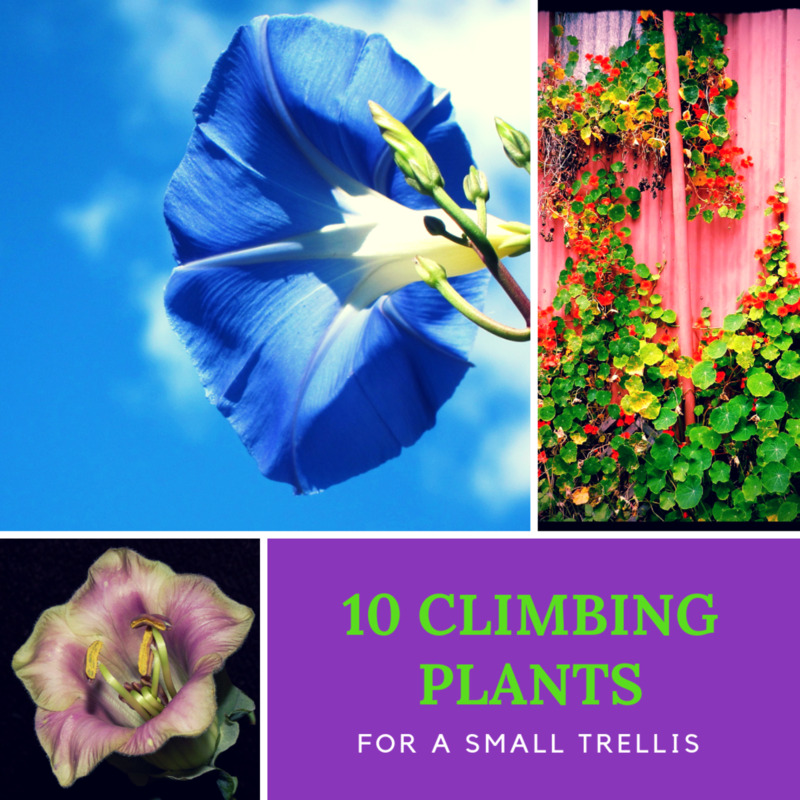 I use an above-ground drip-irrigation system and pots for my plants. This way, I can move the plants and the irrigation system to the shady areas of my yard during the hot Florida summer and toward the sunny areas in the winter. 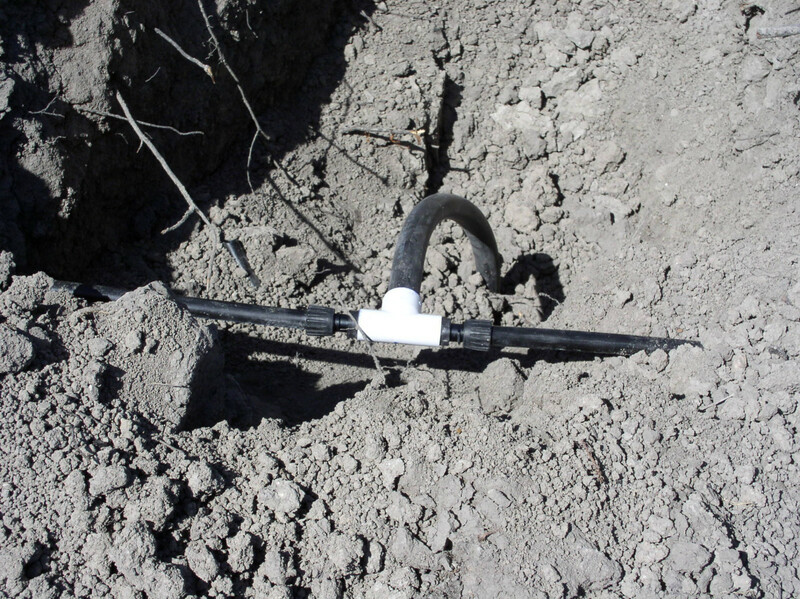 Position the drip irrigation system's timer, if used, against the water source. Hold the timer's readout screen in the appropriate position and tighten the timer's intake port. Screw the female end of the backflow device, when necessary, onto the timer's male port. Connect the pressure reducer and the tubing adapter. Fully tighten each connection. Before digging, locate all underground pipes and wires, including any phone or cable wires. If you are not sure of the locations, call the appropriate utility company. Map out the tubing on the ground. If installing a subsurface system, dig the trench for the tubing. Route a section of 1/2-inch tubing along the system's main trunk line, working from the swivel adapter out toward the furthest point. Insert the end of the trunk line's tubing into the swivel adapter. Push the pipe until its end hits the fitting's backstop. Adjust the tubing's position, as needed, and lock the tubing into place with landscaping stakes or staples. Cut the end of the tubing with PVC cutters and either push an end cap onto the tubing or fold the end over and lock it in place with a clamp. Remove a 1-inch section of the trunk tubing at each branch line. Push each cut end of the trunk tubing into a tee-fitting. Run a section of tubing along the branch line. Push the end of the tubing into the tee's remaining port. Stake the tubing in place and cut the end of the tubing to size. Install an end cap. Repeat this step for each branch line. Layout the emitters along the tubing, using the schematic as a guide. Make a hole in the tubing with a micro-tubing punch. A micro-tubing punch makes a perfectly sized round hole. Force the appropriate emitter or fitting into the hole. If running a section of 1/4-inch tubing, push a 1/4-inch coupling into the hole and run the tubing as needed. If using staked sprayers or stand alone emitters, force the fitting on the end of the sprayer's tubing into the hole. Sometimes a vegetable garden's irrigation requirements change and once useful branch lines or emitters produce excess water in a certain area. Instead of completely redesigning your drip irrigation system, use goof plugs to cap redundant and unnecessary drip lines or emitters. If needed, the plug can be removed at a later date. Certain areas, like a narrow row of plants next to a walkway, only need a small amount of water applied to the root base. Installing an entire drip irrigation system would be cost-prohibitive and unnecessary. However, tapping into the pipe below a nearby sprinkler head and running 1/4-inch drip or a soaker line to the problem area possibly solves the issue. 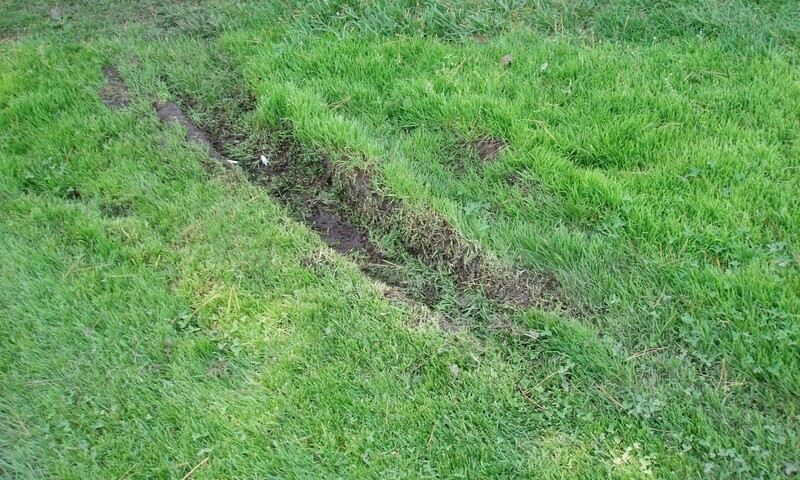 Remove the soil surrounding the chosen sprinkler head, exposing the sprinkler system pipe underneath. Remove the sprinkler head from the pipe's male adapter. Attach the appropriate micro-tubing adapter onto the male threads. When reusing the sprinkler head, screw an extension riser with a 1/4-inch barbed port onto the male adapter. Install appropriate sprinkler head onto the extension riser's threads. To eliminate a sprinkler head, screw a micro-tubing adapter, either single or multi port, onto the male threads. Position the micro tubing along the landscaping, as needed. Push one end of the 1/4-inch micro tubing onto a micro-tubing adapter's barbed fitting. Repeat this for each piece of micro tubing. Either attach an emitter to the end of the tubing or force a goof plug into the end of a section of drip tubing. Stake or bury the micro tubing. If the extension riser pushes the top of the sprinkler head well above the surface of the soil, either compensate with a smaller head or adjust the male adapter's depth. If the male adapter connects to flex pipe, remove some soil from underneath the pipe and reposition the adapter. If the male adapter attaches to hard PVC, cut the PVC and cement a new adapter at the correct height. What do you use your drip irrigation on? Love your hub, going to use the idea of drip irrigation.